The streets of Armadale are coming alive during the Armadale Arts Festival 2018. 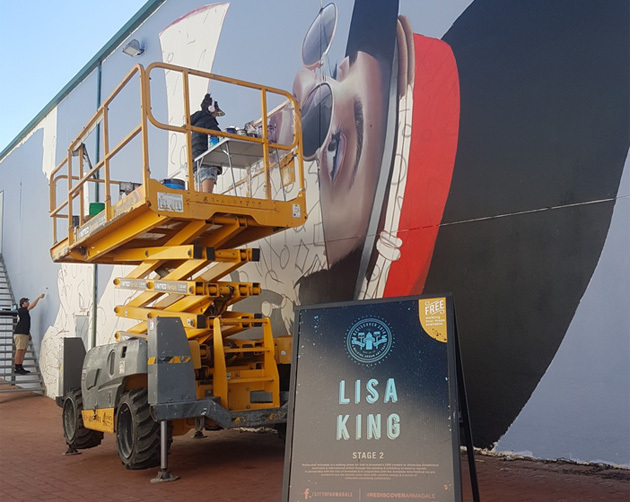 Blank walls are being transformed into colourful murals, showcasing the talents of Australian and International Artists. 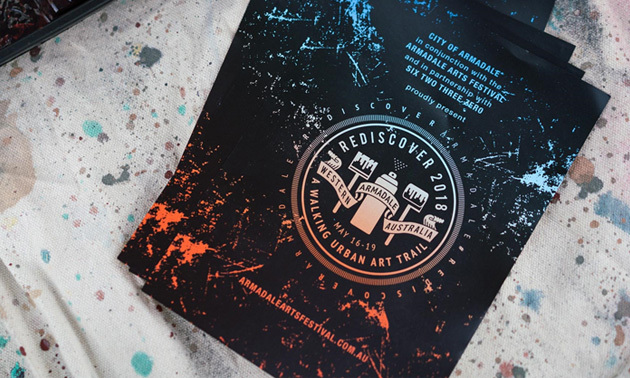 Embark on a self-guided walk through the City's hub brought to you by Six Two Three Zero and the City of Armadale. 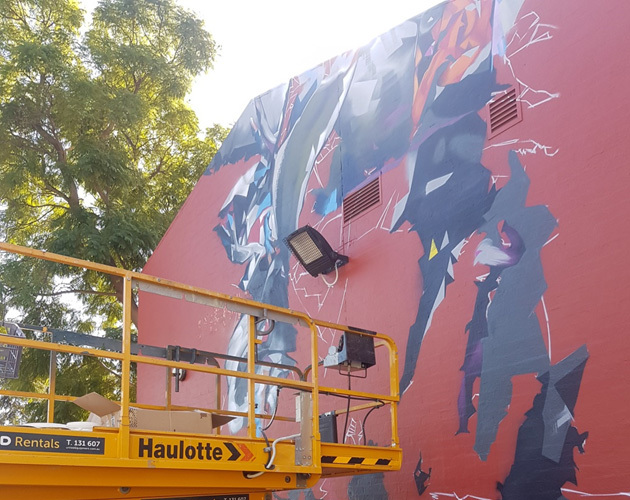 All are invited to come and watch the artists at work and book a ticket to join a community sundowner to celebrate their completion on Saturday 19 May at 4pm. Pick up your map from the Perth Hills Armadale Visitor Centre or download a digital copy. Askew One (Elliot O’Donnell) is a self-taught multi-disciplinary artist hailing from the capital of the South Pacific, Auckland, New Zealand. From his roots in his city's graffiti scene during the early 90's, he became one of the key figures known internationally from the region. Askew One's current work is a mixture of text and portrait based work concerned with themes of human diaspora and it's driving factors. Self-taught artist Lisa King began her career as a graphic designer but moved into painting in 2012 in search of more freedom of expression. 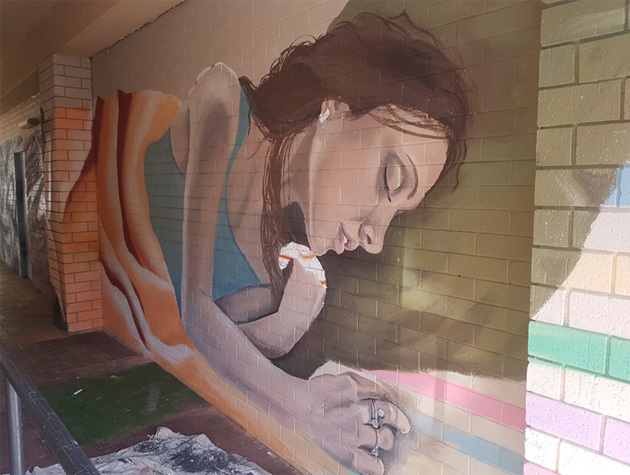 Her work has been labelled ‘colourfully angelic yet seemingly dark’ and has been recognised locally and internationally as a fast emerging painter and street artist. 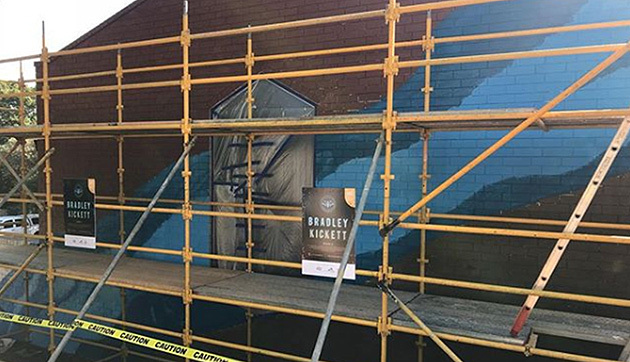 A painter since 2007 local Noongar artist Bradley Kickett was born in Northam and grew up in Perth. His abstract art style is influenced by his experiences with Noongar country, from the oceans to the rivers and seeing the wildflowers and the land from the air. These images are interwoven with the history and stories passed down from his family and elders. Tahnee Kelland is a full-time artist from Mandurah WA. She uses muted colours to create emotionally honest artworks that are expressed as murals, paintings, illustrations and tattoos to name a few. She is known for her whimsical style, giving glimpses of emotional honesty, soulful femininity and fanciful patterns. Creed Birch is a multidisciplinary artist from Perth whose work features repeated patterns and carefully considered colour schemes sourced from his urban surroundings. 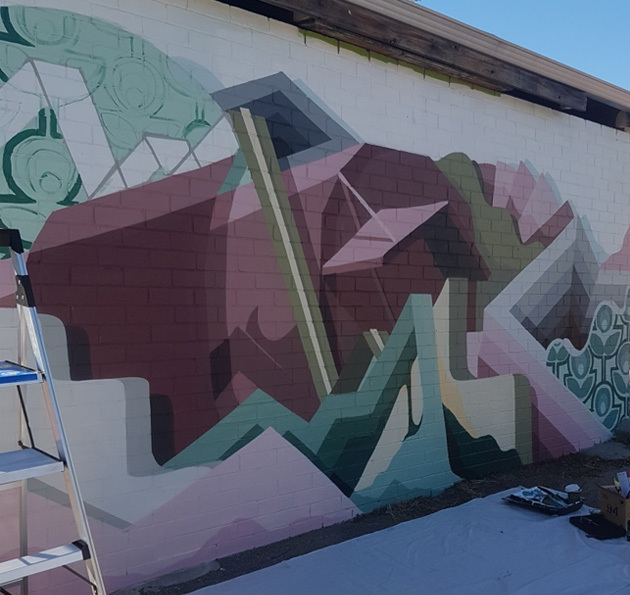 Inspired by his background in graffiti, interest in photography and history working in suburban construction, Creed sources colours and patterns through contemplating of his environment. 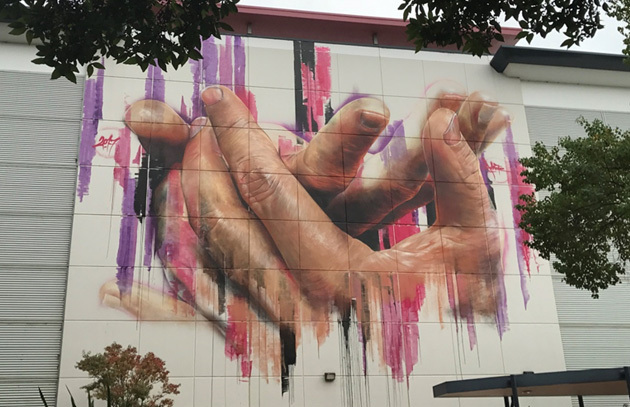 Adnate's work first appeared on the streets of Armadale during ReDiscover Armadale Stage 1, in 2017. His works are often cropped by evocative slices of vibrant colour, channelling a presence of character; much like a still life uses its background as a setting for detail and showing fine brushstrokes.